A new generation of young cattlemen principled by old school “Cowboy Logic” yet determined to embrace the demands of today’s cattle industry with a balanced approach. We all learned growing up that too much of a good thing, isn’t necessarily a good thing. An adequate degree of calving ease with optimum growth in a package built to last, sustainable if you will. Cows with the proper build to function in the Southeast, wean a heavy calf, breed back on time. Repeat. The more times she does this, the better off we are. Mamma matters. As responsible beef producers, we are working to keep end product quality in mind, but remain committed to keep Foundations First. Like most successful and well thought out plans, there are great people behind the plans. This is true for the formation of the Cowboy Logic group. The gentlemen, along with their families, have agriculture back grounds, yet different outlooks and ideas. The men that have assembled this marketing venture complement each other very well. Let’s take a look at the beginning of a journey now known as COWBOY LOGIC. The youngest pair of partners in the group are Cole Elrod and Alex Tolbert. These two young guys grew up in Jackson County, Georgia with great ties to land and livestock. Cole and his father, Joe Elrod, are involved with construction/ dirt moving projects around northern GA. Cole also runs a fencing business and occasionally puts a swimming pool in for folks in the area. Cole and his wife, Stephanie, have three beautiful children. Their young family is very involved in the community and a huge asset to Jackson County agriculture. Cole himself is the steady man in the group. He thinks things through multiple times before acting. He moves at a steady pace. He has a great overview of modern beef cattle production. His breeding program’s first priority is excellent fundamentals, while keeping improved performance and southern adaptability in mind. He loves his cattle like they are family. He loves to do a little hunting and spending time with his family at the lake in the summer. He is a man that is involved with the local cattlemen’s association, the Georgia Cattlemen’s Association and the breed associations that he uses in his programs. 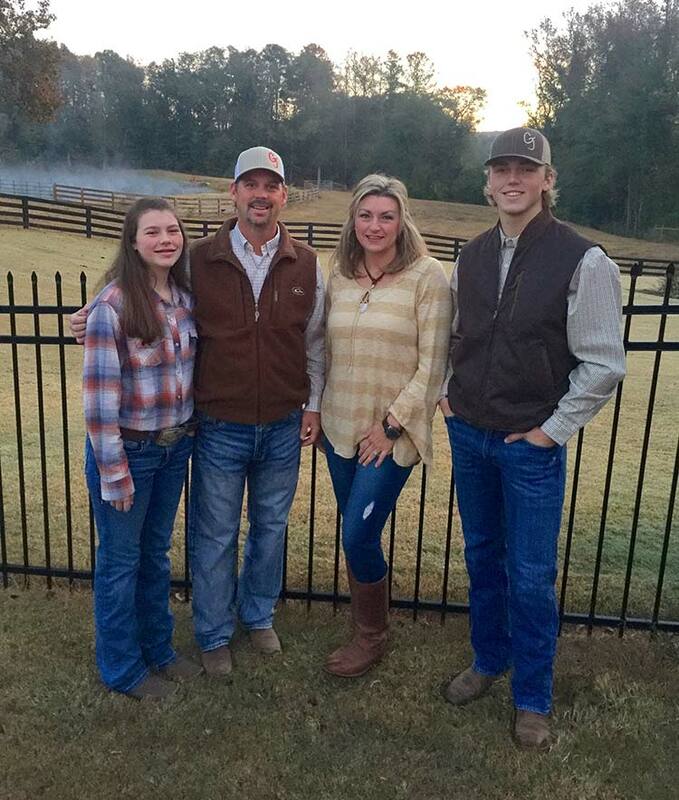 The Elrod family will host the sale at their facility in Talmo, GA. You can expect over the top hospitality and a great family atmosphere when you visit the Elrods. Alex Tolbert is Cole’s business partner in the E/T prefix. Alex is Mr. Angus. 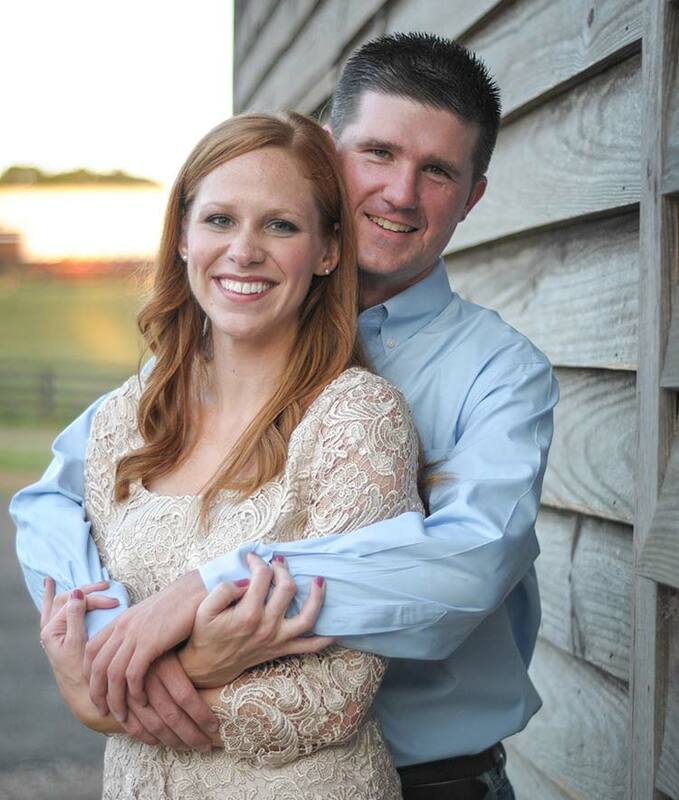 He not only works for the American Angus Association as a regional manager for the states of Ohio, Kentucky and Tennessee, but he lives and breathes Angus happenings. Alex is on the go a good bit with his job; therefore he is not in the E/T cows ever day. As one of Alex’s good friends and a well respected Angus breeder and industry icon, Joe Myers would say, “Alex is an old soul.” He lives and acts like he is twice his age. He even moves a little slow sometimes. Alex has a tremendous understanding of the Angus business and needs of commercial cattlemen. He meets and visits with breeders as part of his job. Alex is dedicated to the improvement of the mamma cow. He has a slogan that comes up a good bit “Mamma Matter.” Alex is to be wed soon to a talented young lady with deep Angus roots, Mrs. Hannah McCabe. Alex brings to the table fresh ideas and an exceptional knowledge of what works in the Angus and commercial world. Potts Brothers Farm is a diversified cattle operation in Northeast Georgia, near Jefferson. 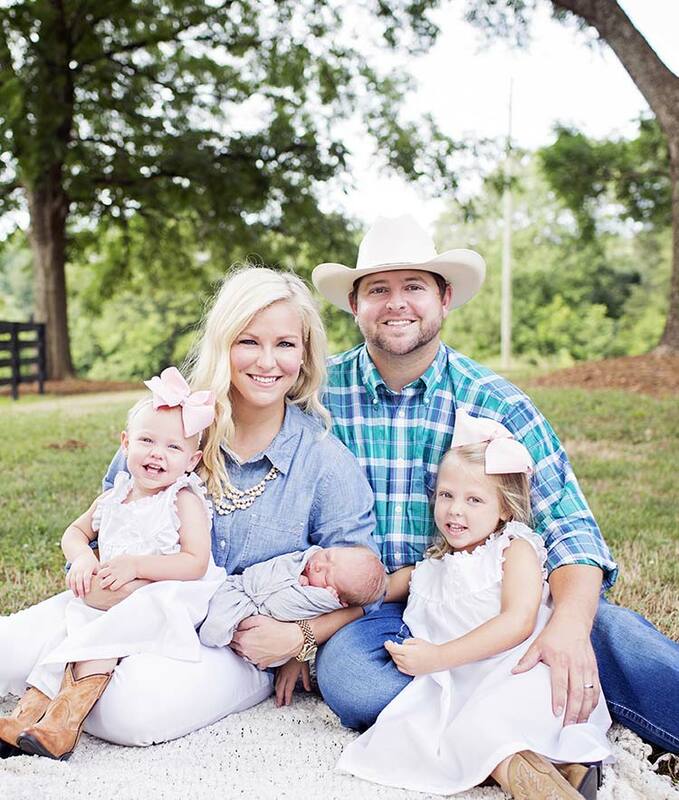 The farm has been in the Potts family since 1884, and Kyle Potts, his wife Chelsey and their three kids are proud to continue the legacy of raising beef cattle on the land. Kyle, along with his father, Jeff, and their wonderful crew manage a large feeder cattle program. Recently, they have put together a quality herd of Angus females with intentions to grow. Kyle is a great family man and good Christian soul. He has the ability to think on a large scale, has the knowledge to handle large financial responsibility and has a deep understanding of feeding cattle. Kyle and Jeff have seen all sides of the commercial cattle sector. They understand performance traits, carcass quality and feed conversion. Kyle and Jeff understand the southern cattle market and the needs for cattle that work in this environment. The Cowboy Logic bulls are fed and developed at Potts Bros. Farm. Kyle brings his own unique fast pace, quick decision making skills to the group. 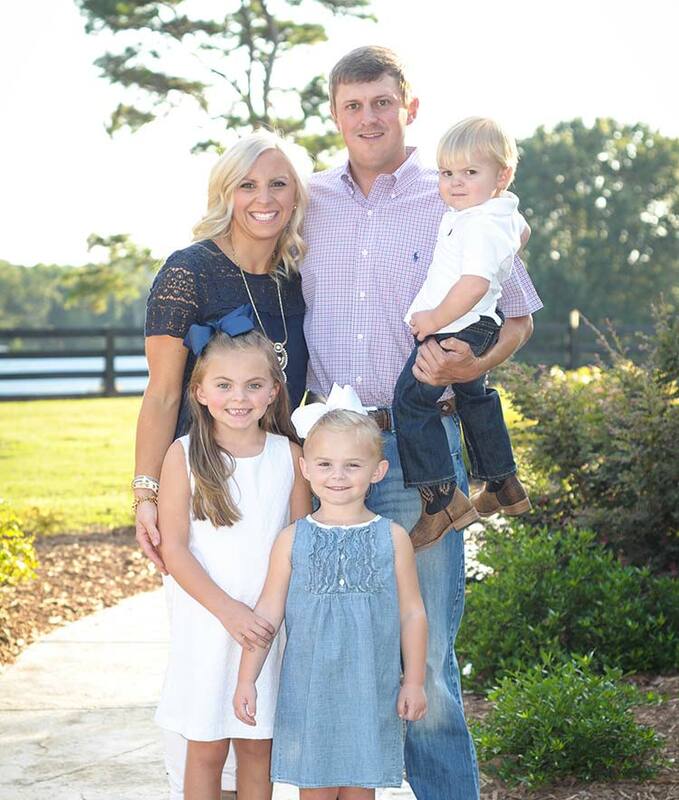 The third party of the Cowboy Logic group is Casey Green and family. Casey can be considered the mediator of the group at times. He has a super business mindset. He thinks outside the box often and brings the others in the group fresh ideas from marketing to trying to gain business. Casey has built a herd of superb females with the basics in mind. The cows will raise a heavy calf, breed back on time, shed their hair, and look good doing their job, or Casey sends them to town. Casey Green has an immense knowledge of animal production. He has been heavily involved in the poultry industry; therefore he sees the pros and cons of integrated production. Casey has a true belief of blending your experiences to enhance your knowledge. He knows that cows must be cows and consume forage to develop a protein source, yet he also understands that there is a fine line between progress and sustainability. Casey also runs a land clearing business and has spent his share of time with a bull dozer. Casey is a near perfectionist. He wants his place to be neat, his cattle to be superior and his family to be competitive. His daughter, Tyler Grace, is a competitive young lady on a cutting horse. Casey and Jill’s son, Tanner, is a talented young athlete in the sport of baseball. The Green’s family story is a true American success story of entrepreneurship and family values. As you absorb the story of the individuals that make up the Cowboy Logic group, we leave you with this note: These men, just like many of you in agriculture, are passionate about what they do. They each have their own talents they bring to the group. The name Cowboy Logic implies that these gentlemen have a fundamental approach to raising good cattle. They are striving to create cattle with a good base underneath them from a sourced pedigree. They have cow sense in their minds. These men know that if the animal can’t hold up and work for their customer, no one wins. Modern Cowboy Logic says we must understand feed efficiency, study and analyze DNA proofs and be able to market the product you have created. Meet the men that began with COWBOY LOGIC!